Further investigation in this motorcycle fatality revealed that there was a second motorcycle involved in the initial violation for the traffic stop. 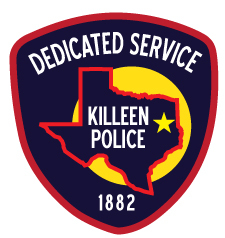 The Killeen Police Department Traffic Unit is asking for the operator of the second motorcycle to contact the department at (254) 501-8800. Upon the initiation of the traffic stop, one motorcyclist pulled over as required by the law and the other attempted to evade the officer and a pursuit ensued. On Wednesday, February 6, 2019, at approximately 12:15 a.m., a patrol officer was traveling northbound on W.S. Young Drive when he observed a black motorcycle traveling southbound on W.S. Young Drive towards Stagecoach Road commit a traffic violation. The officer turned his patrol vehicle in an attempt to conduct a traffic stop on the motorcycle. The operator of the motorcycle continued to travel and turned westbound onto Stagecoach Road at a high rate of speed, when the officer lost sight of the motorcycle. When the officer approached the 1300 block of Stagecoach Road, he located the motorcycle in the roadway and a male lying in a nearby parking lot. The preliminary investigation revealed that the operator of the motorcycle failed to negotiate the curve while traveling westbound on Stagecoach Road and collided into a retaining wall, causing him to be thrown off from the motorcycle and struck a tree. 21 year-old, Caden Michael Shunk succumbed to his injuries and was pronounced deceased on scene by Justice of the Peace Bill Cooke at 12:58 a.m. He ordered an autopsy to be performed at the Southwestern Institute of Forensic Sciences in Dallas.